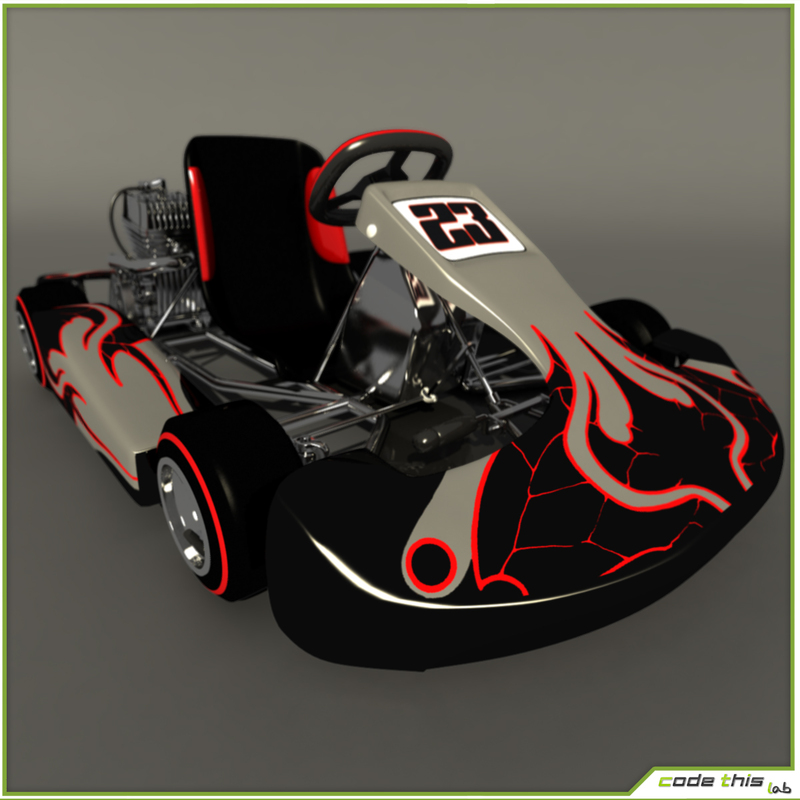 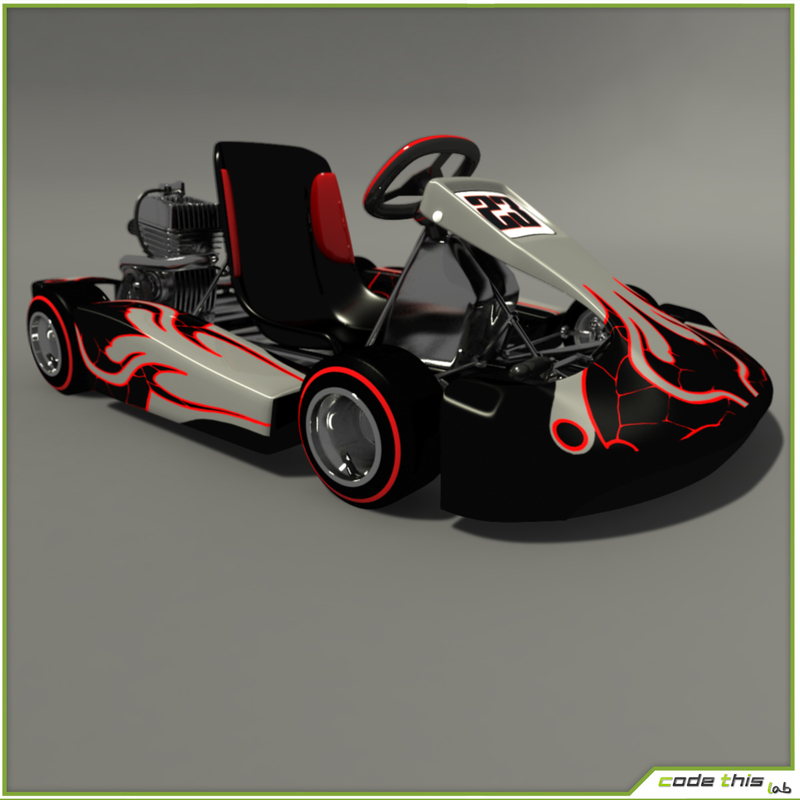 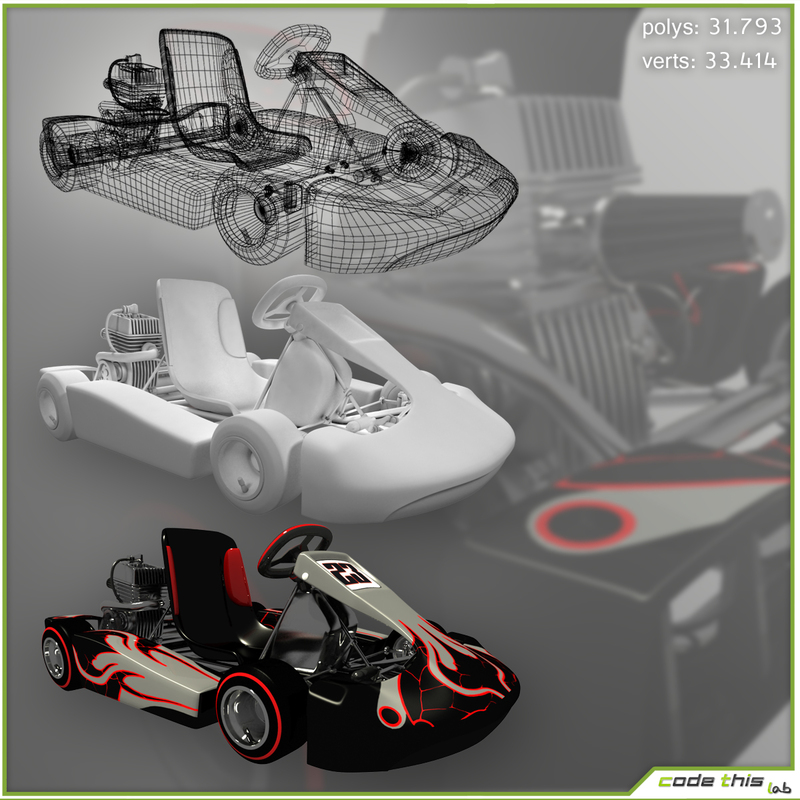 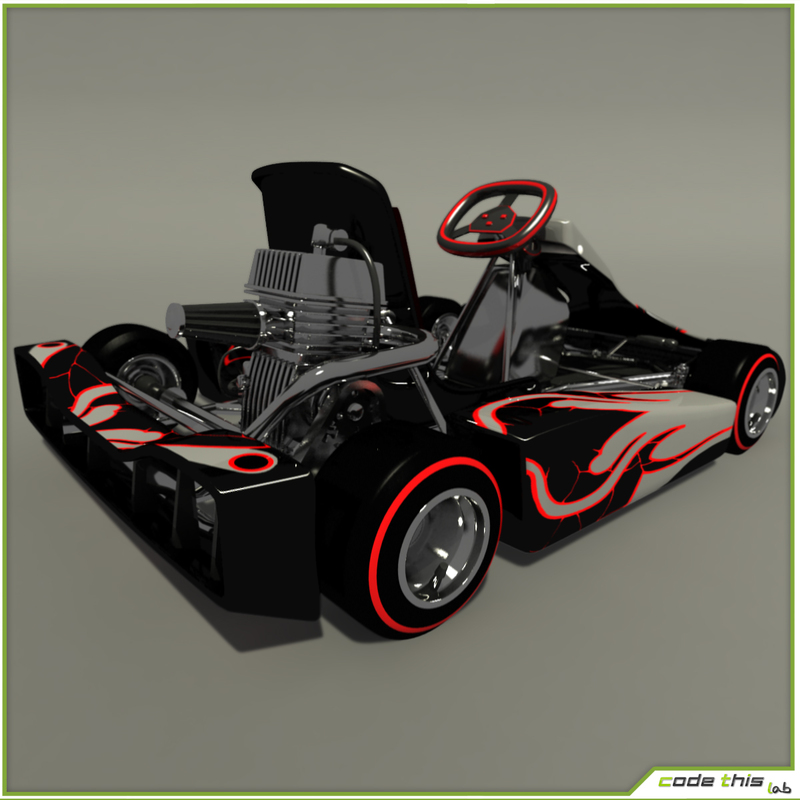 This 3D model is a version of a classic go-kart. 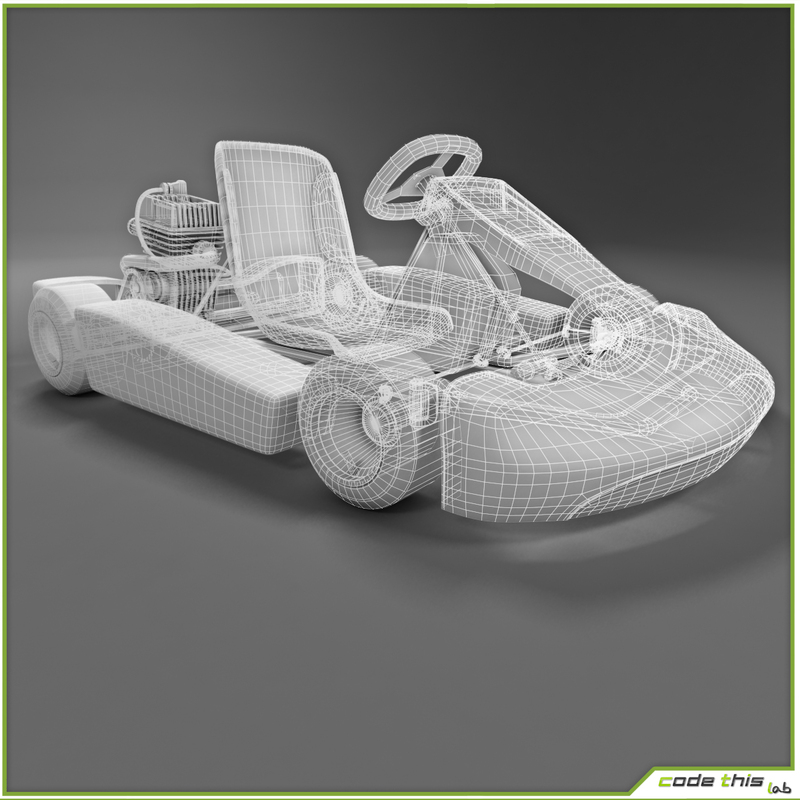 The principal details are concentred on the engine. 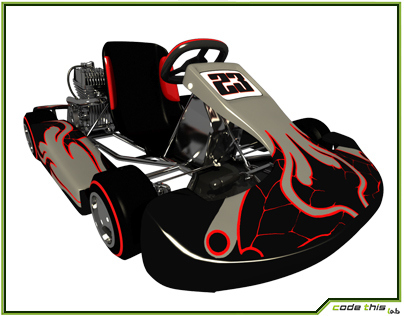 All metal parts are covered with a vray procedural map that simulates the metal, while the body is unwrapped and covered with a 1024×1024 texture.